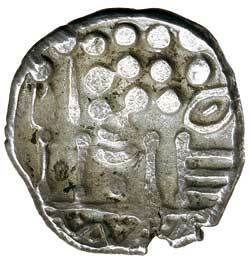 SOUTH WESTERN BRITAIN, uninscribed issue, Durotriges tribal issues, Abstract type, (c45-40 BC), silver stater, (5.66 g), obv. abstracted head of Apollo to right, rev. 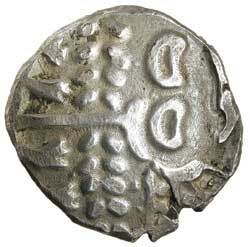 Celticized disjointed horse to left, circles (pellet and ring type) around (S.366, SCB. 1, Mack 317, Van A. 1235-1). Lightly toned, nearly very fine.